Fitzgerald MSI provides clients with a talent management framework that helps them make better hiring, advancement and talent development decisions. We identify how people process information and make decisions, predict how they are motivated, and suggest how well they fit into the client’s culture. We help clients select the right people, and accelerate the onboarding and assimilation process to make them more productive, more quickly. And we help clients improve relationships among and between teams, manage training and development gaps, and identify next-generation managers and executive leadership. 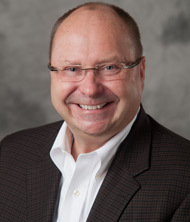 Mike Fitzgerald, the president of Fitzgerald MSI, created the company in 2002 to help clients achieve peak performance to improve the client experience, improve efficiency and productivity and enhance revenue. Clients include E *TRADE, TransAmerica, Direct General Insurance, Harland Clarke, Cendant Corporation, State Bank Financial Corporation, ING DIRECT (now Capital One), CHD Meridian Healthcare, Radio-One, Wilmington Trust Company, and more. Fitzgerald is a former chief talent officer, president and CEO, chief operating officer, and sales leader. He is a certified practitioner in the Herrmann Brain Dominance Instrument (HBDI) and Hogan assessments. He’s been a consultant to Fortune-100 companies, startups, turnarounds, and served as an executive officer for companies as large as $5 billion. He’s an Economics graduate from the University of Massachusetts, a frequent speaker at industry events, and the author of three books on service quality, client experience management, and business communications. Mike Fitzgerald led the building of our talent management infrastructure and orchestrated the development of an excellent leadership development program for our emerging leaders. He has a gift for building customized solutions for unique situations.